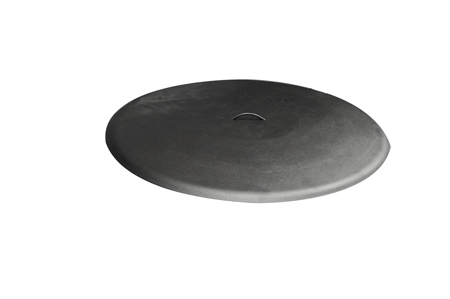 This Lightweight Aluminum Fire Pit Cover is designed to provide protection from debis and weather for your Glass or Flat Media and Fire Pit. High-Heat Textured Flat Black or Glossy Copper Finish with Black handle. Powder-Coated and UV Resistant. -36"diameter approximately 2 1/4" center height, tapered down to 1" Covers Fire Pits up to 36" and weighs about 13lbs .